NEED SOME LIGHT RELIEF? MISSING ENGLISH THEATRE? 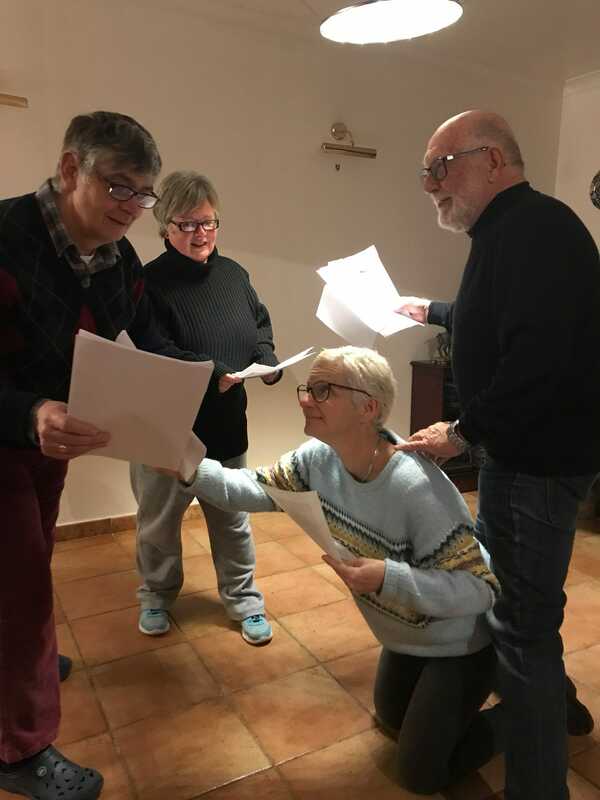 Their first production,’Chuckle Soup’ celebrates the best of British humour, with a treat of sketches, songs, monologues and a one-act play……and no mention of Brexit. AND IT’S FREE! With a second show planned for the Autumn of 2019, they would love to hear from new members to work on stage, backstage, (lighting, make-up, costumes, set builders, props and general hands) or front-of-house. 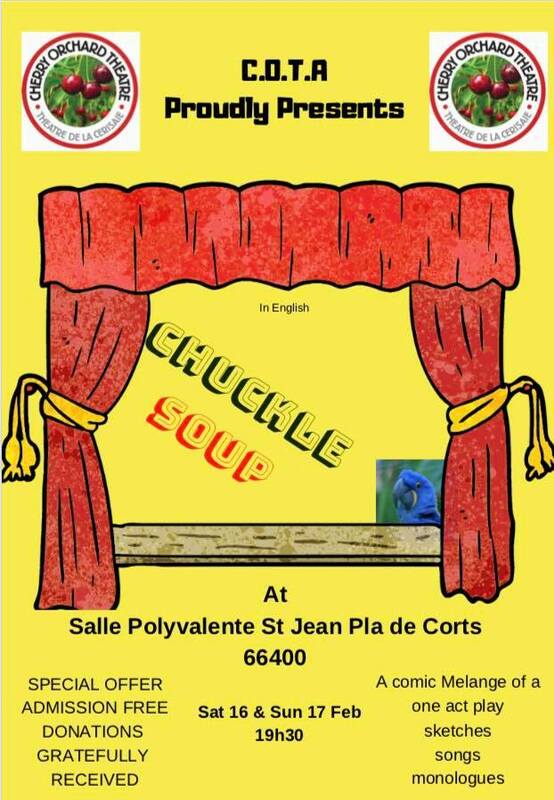 Don’t miss ‘Chuckle Soup’ at the Salle Polyvalente, Saint Jean Pla de Corts on Saturday 16 and Sunday 17 February 2019. Performances start at 19h30. Admission for their premier show is FREE! Donations will be gratefully accepted. Contact CHERRY ORCHARD THEATRE ASSOCIATION at info@cherryorchardtheatre.fr for more info.